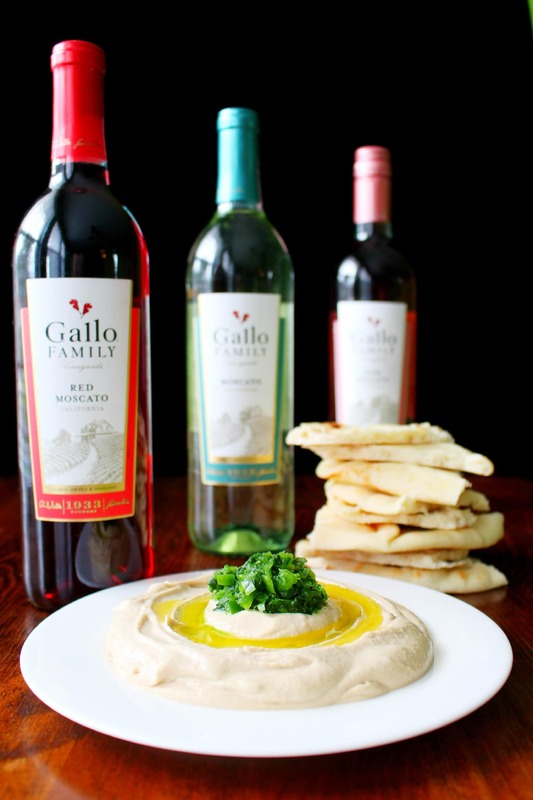 Compensation for this spicy hummus recipe was provided by Gallo Family Vineyards via Sunday Supper, LLC. The opinions expressed herein are those of the author, and are not indicative of the opinions or positions of Gallo Family Vineyards. You’ll love this easy, spicy hummus! It’s made with chipotle spice and garnished with a fresh jalapeno cilantro salsa surrounded by a splash of olive oil! Did you know that May 9th is National Moscato Day? 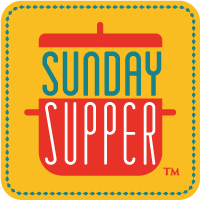 I’m so excited to be celebrating this holiday with our friends from #SundaySupper and Gallo Family Vineyards. For National Moscato Day, I’m preparing a spicy homemade hummus recipe that will pair well with your favorite Moscato. I have to admit that hummus is probably one of my favorite foods. Whether it’s mixed with pine nuts or roasted red peppers, spread on a flatbread pizza or scooped with crackers, I love it. For me, a week doesn’t go by without eating hummus. Previously, I’ve relied upon store bought varieties to satisfy my craving, but I decided that it was high time to learn how to make homemade hummus. I just love the fresh taste of making dips for myself, and hummus was a new challenge that beckoned. 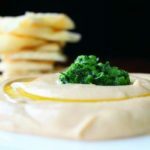 This hummus recipe makes enough hummus for sharing, but not so much that it’s difficult to finish off within a few days. It’s also full of some of my favorite types of peppers and herbs to provide a burst of heat and flavor. One important thing about freshly made hummus is that it tastes best when it’s had a chance to rest. After preparing the hummus, I like to let it rest for a least a few hours. That gives the flavors time to develop and blend. When you store homemade hummus, press a sheet of plastic wrap directly onto the surface of the hummus to prevent a skin from forming. When serving the hummus, don’t forget to garnish with olive oil. Make a moat or well in the hummus and fill generously with your favorite high quality olive oil for optimum flavor. Pair this hummus with warm flatbread, naan, or pita, alongside a selection of crackers for crunchiness. Or you can go wild, and use tortilla chips! And of course, you can’t go wrong with a glass of Gallo Family Vineyards Moscato wine. My favorite was the Red Moscato. This spicy hummus gets its kick from adobo sauce and is garnished with a fresh and spicy green salsa and a generous pour of extra virgin olive oil. Makes a perfect appetizer for serving with flatbread, naan, or crackers! Drain the canned chickpeas into a colander and rinse thoroughly. Place the chickpeas in a food processor and process until you have a thick paste. Add the salt, tahini, lemon juice, garlic, and chipotle chile pepper powder, then process again. Scrape down the sides of the processor as necessary to ensure even blending. Drizzle in the 1/2 teaspoon of olive oil, then process again. Taste the hummus to see if it has a very smooth texture. If not, process again until you do. Add water a tablespoon at a time, if need, and continue processing until totally smooth. Transfer the hummus to a storage container and press a sheet of plastic wrap directly onto the surface of the hummus to prevent it from forming a skin. Refrigerate for at least 30 minutes, but preferably for several hours to let the flavors develop. When you are ready to serve the hummus, make the salsa garnish. Combine the chopped jalapeno, cilantro, dash of salt, and lime in a mortar or food processor. Grind or process until the jalapeno is in small pieces and the mixture is similar in texture to a thick pesto. Scoop the hummus into a bowl or serving dish. Use the back of a spoon to indent a moat in the shape of a circle around the center of the hummus. Put the salsa in the center of the hummus. Pour olive oil into the indented circle, then serve. If you like this spicy hummus, try my cannellini bean dip! Your hummus looks so smooth and creamy. I love the spicy kick from jalapeno too. YUM! And I agree that any good hummus (or dip, really) needs some time to literally chill and meld together. 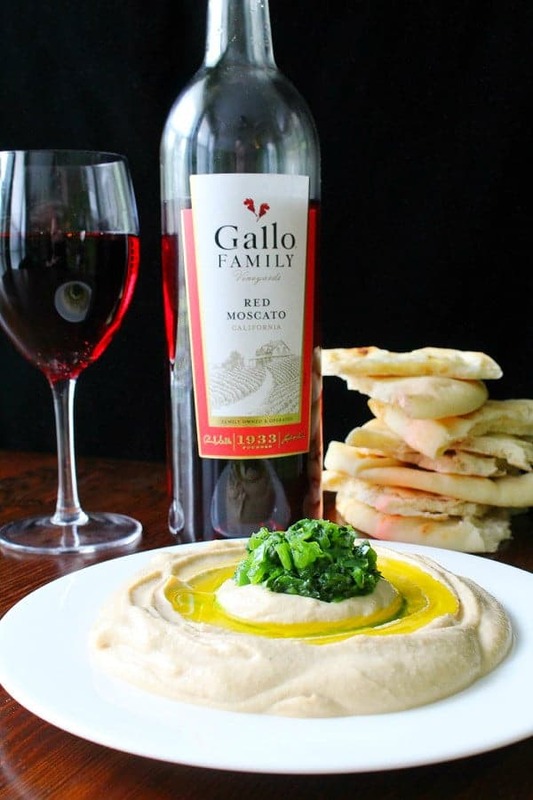 This hummus looks SO good, and paired with tasty Red Moscato is just perfect! Hey katie! this hummus looks so inviting!!! great recipe! This is the prettiest hummus I’ve ever seen! And I love your delicious twist, too!! Wow, your hummus looks supremely creamy. Love the flavors. This looks like the most creamy, perfect hummus ever! I just love a good hummus and I need to try your recipe. It has everything I love in it. I can’t get over how gorgeous this is. Almost too pretty to eat… Almost. Thanks for the hummus tips, Katie! What a creamy looking hummus. Great job. I’ve never used baking soda when making homemade hummus. (Is this a secret ingredient?) 😉 Your recipe looks wonderful — plus I love it kicked up with jalepano! I have got to tell you I am so excited that I didn’t go shopping today, and can add this to my list. Hummus is my go to snack with red and orange pepper to dip in it. I am so excited to try this recipe with a ton of garlic….. No kissing for me. I have NEVER had fresh, just store bought…. Thank you for doing and sharing mate…. I prefer moscato with spicy foods to this hummus is perfect! 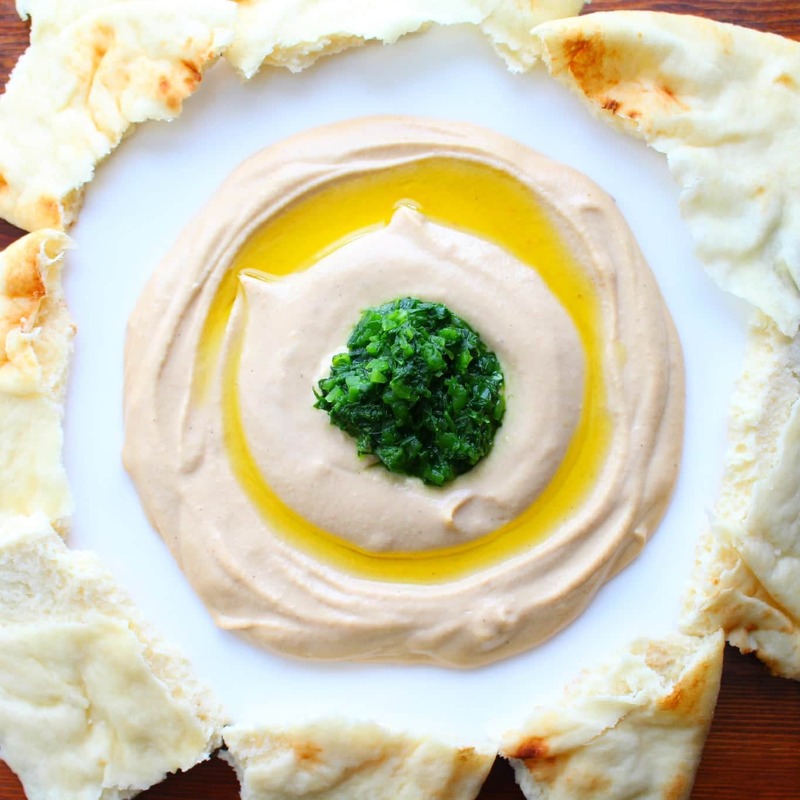 You will never buy hummus at the store ever again now that you see how easy it is to make on your own! I love your spin on traditional hummus! How delicious! We are always looking to try new hummus recipes…this one looks like a winner! Can’t wait to make it! That silky texture…that slick of olive oil…that glass of Moscato. PERFECT!